Border Movement are excited to announce a showcase on Wednesday 15th and Thursday 16th August at Pop-Kultur Berlin in the form of live performances, DJ sets and an interactive discussion. Taking place at Club 23, and representing members of the Border Movement family from South Asia and Germany, there will be live showcases from Dan Bodan, Rudoh, Stupid Happiness Theory and Anika; interspersed with DJ sets from She’s Drunk, Lauf, and Andi Teichmann. Also taking place at Club 23, New Delhi based Sarah Elizabeth Chawla, regional partner for Border Movement and co-founder of Wild City and Magnetic Fields festival will be hosting an interactive conversation about the importance of cross cultural collaboration and women in electronic music. 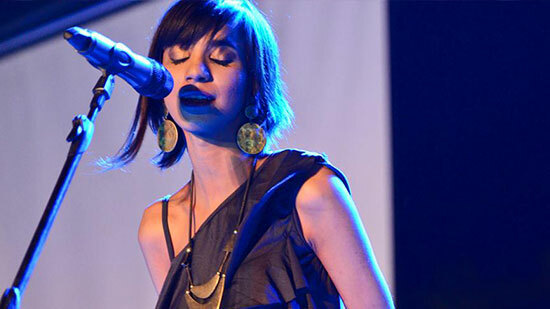 She will be joined by: Pakistani producer and vocalist Natasha Ejaz (who is currently in Berlin as part of this year’s BMR initiative); Berlin based artist, political journalist and poet Annika Henderson (who participated in a 6 week residency in Tehran as part of the BMR series in 2015); producer and Sine Valley festival co-founder Mohamed Manal; and NOLAND label owner, producer and cultural activist Andi Teichmann. The aim of the discussion is to step away from the typical ‘panel’ format and generate a provocative, lively conversation based on the input, ideas, and questions from the audience. Pop–Kultur is an annual international festival presented by MusicBoard Berlin GmbH that is now going into its fourth year. The festival launched in 2015 at the Berghain, this year the 3 day event will take place from August 15 to 17 at Kulturbrauerei in Berlin and will feature over 15 commissioned works and 70 performances, DJ sets, and talks. 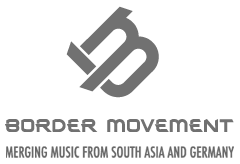 The presentation of Border Movement as part of Pop-Kultur Festival is a commissioned work, made possible with funding from the Federal Government Commissioner for Culture and Media (BKM).